Our Archive and Search Room is open every Tuesday, Thursday and Friday from 10am - 4pm and by confirmed appointment at other times. Old Parish Birth Records exist from 1691 to 1854. Marriage Records exist from 1691 to 1704 and from 1724 to 1824. Death records exist from 1731 to 1732 and from 1759 to 1852. Yarrow Burials 1791 to 1837 by Nigel Hardie. See our sales list for full details and cost of postage. Memorial Inscriptions Yarrow Churchyard by Hawick Archaeological Society 1933. Old Yarrow and Ettrick by Alex F Young published by Stenlake Publishing. 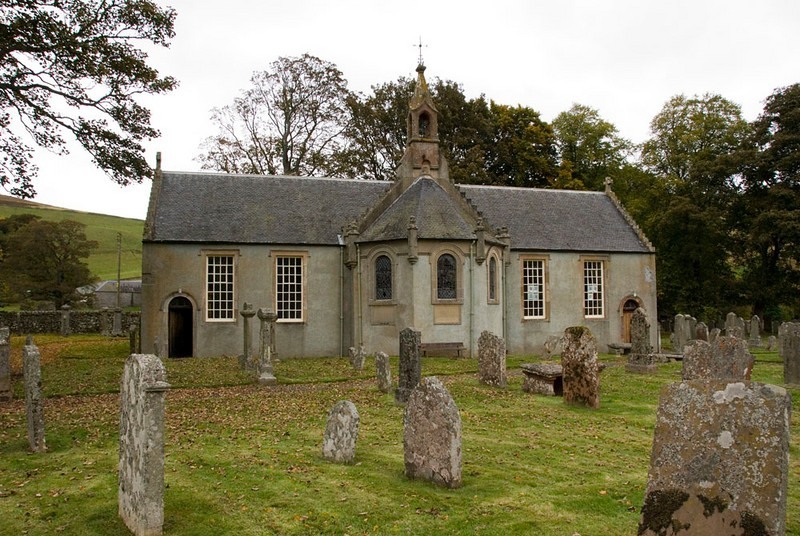 The Churches and Graveyards of Roxburghshire by Dr. G. A. C. Binnie 2001. Rutherford's Southern Counties Register and Directory 1867. County Directory of Scotland 1912 - Borders Towns and Villages. CD Berwickshire, Banffshire, Peeblesshire and Selkirkshire Trades Directory 1837. Please note that the heading Author includes persons who have compiled or transcribed records; and that the topics indexed, and the synopses are subjective opinions. See the Sales List to buy copies of the magazines containing articles in which you're interested. by kind permission of the National Library of Scotland. Use the control at the top left of the map to zoom in or out and drag the map left, right, up, or down as you wish. The 20 most common surnames on gravestones recorded by us in the Yarrow monumental inscriptions volume are (number of gravestones in brackets): Scott (47), Anderson (22), Hogg (20), Laidlaw (18), Turnbull (16), Mitchell (16), Nichol (13), Little (12), Brown (12), Johnstone (12), Renwick (11), Brydon (10), Amos (10), Dalgleish (10), Goodfellow (9), Beattie (9), Baptie (9), Henderson (9), Douglas (8), Wilson (8). Reminiscences of Yarrow by James Russell - 1886. Ettrick and Yarrow - a guide with songs and ballads by William Angus - 1894. Yarrow in History, Literature and Romance by Rev. W Steven - 1917 - Galashiels. Two Centuries of Borders Church Life by J Tait Kelso 1891. The Statistical Accounts of Scotland compiled initially between 1791 and 1799, with a subsequent edition between 1834 and 1845 are a valuable record of the geography, history, economy, people and customs recorded by local ministers. You'll need to search for the parish name. Yarrow School Log Book 1892-1944 ref; S/ED/2/39. Yarrowford School Log Book 1884-1936 ref S/ED/2/40. Gilmanscleugh School Log Book 1920 to 1946 ref; S/ED/2.19. Baptismal Register 1843 to 1873. Kirk Session Minutes 1846 to1893. Deacons Court Minutes 1846 to1883. 1953 Links with Scott in Ettrick and Yarrow. 1964 St. Mary's Kirkyard, Yarrow and Ettrick - place names. 1964 St. Mary's Kirkyard Yarrow and Ettrick - name index. 1964 St. Mary's Kirkyard - monumental inscriptions. Vol. 10 Yarrow described by Scott. Vol. 10 Note by J Hardy. Vol. 10 The Liberalis Stone. Vols. 19 and 38 Yarrow visited. Vol. 23 Yarrowford - its witch. Vol. 30 Liberalis Stones, Dowy Dens, Hart Leap and Whitehope visited. Vol. 32 The Standing stones of Yarrow by the Rev H. H. Boyd. 1951 - Lord Cockburn in Yarrow. (available in Society Archives). 1951 - Collies at Yarrow Kirk. (available in Society Archives). 1957 - Dr. Shaw A Yarrow Worthy by E.M. Reekie (available in Society Archives). 1961 - A local worthy - James Tait of Yarrow Valley (available in Society Archives). A list of surnames in Yarrow Churchyard recorded in the 1933 transcription by the Hawick Archaeological Society is set out by UK and Ireland Genealogy. Ettrick and Yarrow Valleys website . A history of Yarrow Church ; Hunter Boa's website. Medical Officer's of Health Reports 1891. 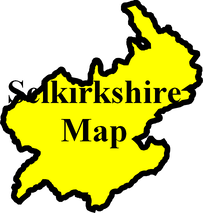 1841 census: Yarrow Peelburn Head, Peel, Ashisteel, Elybank, Howfoord, Birks, Shootenlees, St.Marys Cottage, Crosscleuch, Berrybush, Bowerhope, Adinhope, Altrive Lake, Craig Douglas, Dryhope, Craighope, Blackhouse, Muttonhall, Kirkstead, Gordon Inn, Mt.Benger, Sundhope, Sundhopehead, Sundhopeburn, Cutkerwood, Catslacknow, Yarrow Feu, Sandbed, Ladhope, Catslackburn, Whitehope, Whitefield, Hennel, Linfoot, East Deuchar, West Deuchar, Tinnis, Old Lewinshope, Lewinshope, Haningshaw, Yarrowford Village, Newbrough, Gilmanscleugh, Singly, Newhouse, Kirkhope, Ettrickbridge Village, Woodend, Nether Delorain Upper Delorain, Drycleughlee, Stenhopefoot, Shiringscleugh, East Redfordgreen, West Redfordgreen, Goldisgreen, Dodhead, Whitelshiell, Hydhope, Shaws, Helmburn, Howford, Fanns, Langhope, Lower Huntly, Whithillbrea, Cathaugh, Huntly, Huttlerburn, Fauldshope, Brockhill. 1851 census: Yarrow Peelburnhead, Ashisteel, Elibank, Old Howford, Eldinhope, Altrieve, Hart Leap, Berrybush, Crosscleugh, St.Marys Ct., Bourhop, Dryhop, Kirkstead, Mutton Hall, Craig Douglas, Whitehope, Whitefield, Catslackburn, Ladhope, Sundhope, Catslacknow Village, Cutkerwood, Mt.Benger, Birks, Hennel, Deuchar, Tinnis, Lewinshope, Old Lewinshope, Hangingshaw, Yarrowford Village, East Kershope, West Kershope, Hyndhope, Newburgh, Nether Deolraine, Over Deolraine, Stenhopefoot, Drycleuchlee, Sherengscleuch, Redfordgreen, Newousehouse, Kirkhope, Rabbit Hall, Singlee, Goldiesgreen, Gilmanscleuch, Inch, Shaws, Dodhead, Whithillshiel, Hillend, Ettrickbridge Village, Helmburn, Howford, Woodend, Brockhill, Fauldshope, Huntly, Hutlerburn, Cathaugh, Whithillbrae, Fanns, Langhope. 1861 census: Yarrow, Mountbenger, Craig of Douglas, Blackhouse, Muttonhall, Dryhope, Kirkstead, Bowehope, Crooscleugh, Berrybush, Hartleap ,Altrieve, Eldinhope, Gordon Arms, Scar Neuk, Catslackburn, Feus, Sandbed, The Plantain, Greenwells, Carleton, Sunny Bank, Town Head, Sundhope, Ladhope, Whitehope, Warrior's Rest, Hennel, Lewinshope, Glengaber, Yarowford Village, Haningshaw, Tinnis, Duchermill, Birks, East Kershope, West Kershope, Howford, Elibank, Ashiesteel, Peel.